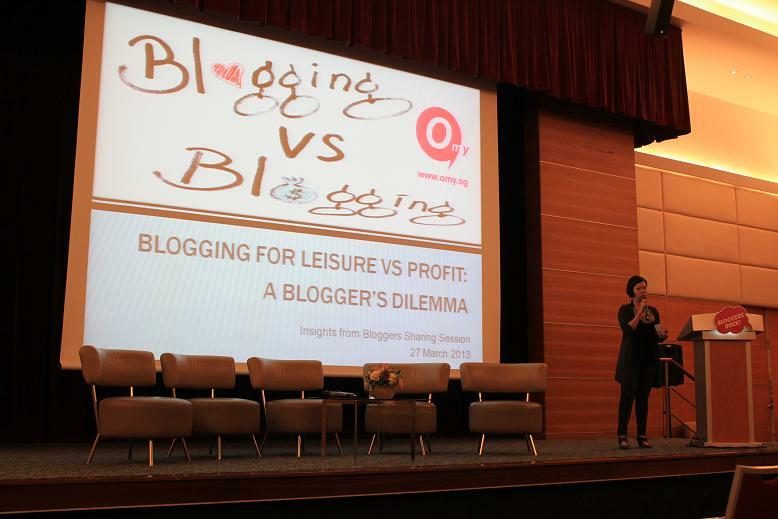 I was invited by the kind folks of omy.sg to attend a panel discussion about Blogging for Leisure Vs Profit end of last month. It is indeed a blogger's dilemma and constant struggle to balance blogging for leisure and blogging for profit. Some of you are aware that my blog is a Purpose Driven Blog. I accept paid posts and use majority of my blogging income to donate in my chosen charity institutions or individual who badly needs financial help. The rest of my blogging happine$$ goes for the maintenance of this blog to keep it in tip-top shape. I do try my best to cover up my paid posts with unpaid personal posts. That way, I don't drive away my regular readers who visits my blog regularly because they love to look at my family's latest happenings and adventures. Omy.sg invited 4 panellists for the event. From left to right: Aussie Pete of aussiepete.com, Grace Tan of gracetan.com, Daniel Ang of danielfooddiary.com and Christine Ng of chrispytinetoo.blogspot.com. Alvin Lim of alvinology.com facilitated the panel discussion. It was very engaging and insightful. Never accept an advertising opportunity for products you don't believe in. Do not over-sell your self. If possible, let advertisers contact you and not the other way around. You have to invest in your blog to attract advertisers (ie: buy your own food/beauty products to review). Keep your blog interesting and read other blogs to improve your writing skills and blogging style. When advertisers contact you, name your price and stick to it. Chances are, you'll get the pay that you deserve. 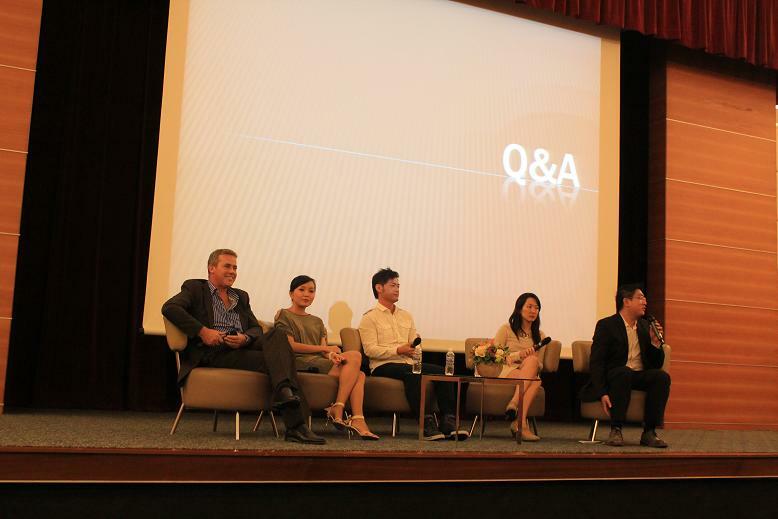 The audience were also given the chance to interact with the panellists during the question and answer portion. One of the panellists (Grace Tan, see below photo) is a full-time blogger. She claims that 80% of her blog content is personal and the remaining 20% is sponsored (Grace, please correct me if I heard wrongly). She gave up her sales job to blog full-time. According to her, her success story is accidental. Full-time blogging is not for everyone. Everything depends on how popular and profitable your blog is. 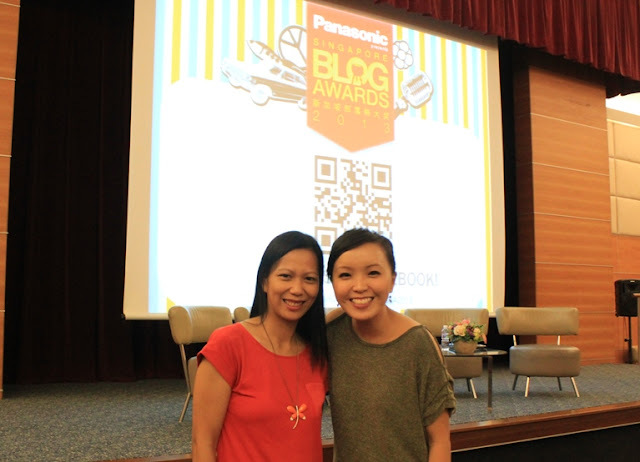 The Singapopre Blog Awards 2013 site is now live and Sweet Memoirs is a proud nominee of Best Family Blog and Best Photography Blog. Thank you so much for your overwhelming support and encouragement! Blog about what you are passionate about and the rest of amazing opportunities will follow. Happy blogging!!! Blogging about what you love....now that makes me love blogging all the more...yet what I love most about it is meeting friends like you who keep me sane and living life to the fullest! I remember this event virtually! thanks for inspiring many of us to keep writing about what we treasure most! :) checking out the sites of the panelists here to learn from them! yabyew! This is quite an interesting event to attend. 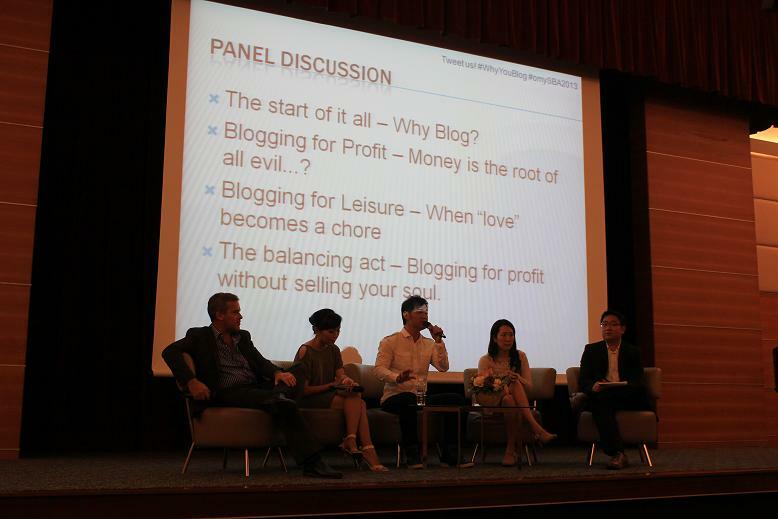 I hope there will be more events like this where bloggers get to hear tips from bloggers themselves. It's great that there are events like that for bloggers and kudos to you for donating your income to charities. I use my income mainly for my sister's tuition fee in the Philippines. love that you have events like this over there Che, giving recognition to the bloggers. and yes, blog about what you love and passionate about, the happine$$ will just come flowing as a bonu$ :) so proud of your many bloggging achievements Che, more power to the awards. wishing you will win. Glad to know that there are events like that for bloggers. It's cool to know that there are people who are willing to share their thoughts of how to succeed in this somehow hobby for many of us. I personally would love to vote for your blog for the said categories. Lovely tips here,Doc! I am no hypocrite. I have to admit that I have been lured to take my blogging journey to a different level to the point of boring the readers coz of paid postings. That is not me. I used to write with so much vigor all for the love of blogging. But admittedly, blogging income has indeed helped me heaps. What should be taken into account here is that we have to know our worth- our blog's value. I do name my price and it's up to them to take it or leave it. Another productive bloggers event. Count me as those who blog simply for passion. This kind of blogging event is very helpful for bloggers and you are lucky to have attended such Sis. I started blogging because I want to have an online journal on my mommy journey without really thinking about the earning. You are right sis that if you do blog passionately the happine$$ will eventually follow. I would love to attend gatherings like that for bloggers.It's really nice to earn from what you are passionate about doing. I love blogging and love the perks and moolah I earn at the same time. Oh man! It seems really awesome to be in the event! Way to go!! !